Megadeth, who launch a UK tour on Monday (June 3) in support of their about-to-be released album, “Super Collider,” have announced a series of signing sessions in the country. 350 wristbands for access to each singing will be available from each store on the day of the event from 9 a.m. on a first-come-first-served basis, one per customer only, no reservations, while stocks last, subject to availability. 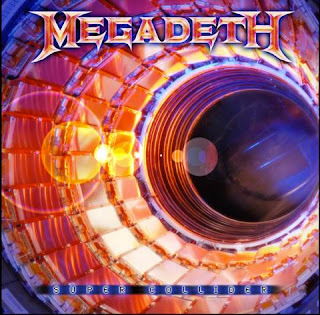 Fans should note that Megadeth will only be signing copies of the new album, "Super Collider" and no other product or merchandise..